Doçent Doktor Tahir Sadık SÜGÜN, 1974 yılında İzmir'de doğdu. Evli ve iki çocuk babası. İngilizce biliyor. Kayalar M, Kucuk L, Sugun TS, Gurbuz Y, Savran A, Kaplan I. J Plast Reconstr Aesthet Surg. 2014 Nov;67(11):1548-56. doi: 10.1016/j.bjps.2014.05.061. Epub 2014 Jun 6. Kayalar M, Levent K, Sugun TS, Gurbuz Y, Savran A, Kaplan I. Microsurgery. 2014 Oct;34(7):527-34. doi: 10.1002/micr.22267. Epub 2014 Apr 30. Popliteal Artery Injury Associated with Blunt Trauma to the Knee without Fracture or Dislocation. Imerci A, Ozaksar K, Gürbüz Y, Sügün TS, Canbek U, Savran A. West J Emerg Med. 2014 Mar;15(2):145-8. doi: 10.5811/westjem.2013.12.18223. Surgical reconstruction in Wassel type IV thumb duplication. Kayalar M, Gürbüz Y, Küçük L, Sügün TS, Ademoğlu Y, Ozaksar K.
Acta Orthop Traumatol Turc. 2014;48(2):181-6. doi: 10.3944/AOTT.2014.13.0042. Complications of distal radius locking plates. Toros T, Sügün TS, Ozaksar K.
Injury. 2013 Jan 18. pii: S0020-1383(13)00020-X. doi: 10.1016/j.injury.2013.01.008. Sügün TS, Özaksar K, Toros T, Kayalar M, Bal E, Özerkan F.
Acta Orthop Traumatol Turc. 2013;47(1):19-26. Screw prominence of locking plating in distal radius fractures. Sügün TS, Ozaksar K, Gürbüz Y.
J Hand Surg Am. 2012 Dec;37(12):2646-7; author reply 2647. doi: 10.1016/j.jhsa.2012.10.018. Peroneal nerve injury surgical treatment results. Gürbüz Y, Sügün TS, Özaksar K, Kayalar M, Toros T, Ademoğlu Y.
Acta Orthop Traumatol Turc. 2012;46(6):438-42. Free vascularized fibular grafts in Type 3 open tibia fractures. Özaksar K, Sügün TS, Toros T, Gürbüz Y, Kayalar M, Özerkan F.
Acta Orthop Traumatol Turc. 2012;46(6):430-7. Acta Orthop Traumatol Turc. 2012;46(5):339-45. Reconstruction of humeral diaphyseal non-unions with vascularized fibular graft. Toros T, Ozaksar K, Sügün TS, Ozerkan F.
Acta Orthop Traumatol Turc. 2012;46(3):149-53. Acta Orthop Traumatol Turc. 2012;46(2):96-101. doi: 10.3944/AOTT.2012.2632. [Humeral shaft nonunions: plates and nails]. Eklem Hastalik Cerrahisi. 2012;23(3):150-5. Turkish. Re: Toros T, Ozaksar K, Sugun TS, Kayalar M, Bal E, Ademoglu Y. Unipedicled laterodigital transposition flap for covering dorsal longitudinal skin defects in multi-digit injuries. J Hand Surg Eur. 2011, 36: 179-84. Pinder RM, Southern S, Tulgar T, Kemal O, Sadik ST, Murat K, Bal E, Yalçin, Ademoglu. J Hand Surg Eur Vol. 2011 Sep;36(7):618-9; author reply 619. doi: 10.1177/1753193411416543. Screw prominences related to palmar locking plating of distal radius. Sügün TS, Karabay N, Gürbüz Y, Ozaksar K, Toros T, Kayalar M.
J Hand Surg Eur Vol. 2011 May;36(4):320-4. doi: 10.1177/1753193410392869. Unipedicled laterodigital transposition flap for covering dorsal longitudinal skin defects in multi-digit injuries. 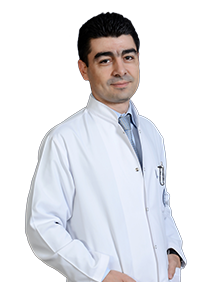 Toros T, Özaksar K, Sügün TS, Kayalar M, Bal E, Ademoğlu Y.
J Hand Surg Eur Vol. 2011 Mar;36(3):179-84. doi: 10.1177/1753193410385614. The effect of excisional arthroplasty with palmaris longus tendon on carpal height ratio in Stage 3 Kienböck's disease. Küçük L, Ozdemir O, Coşkunol E, Süğün TS, Ozaksar K.
Acta Orthop Traumatol Turc. 2011;45(6):393-8. doi: 10.3944/AOTT.2011.2566. Kayalar M, Bal E, Toros T, Süğün ST, Özaksar K, Gürbüz Y.
Acta Orthop Traumatol Turc. 2011;45(3):175-84. doi: 10.3944/AOTT.2011.2429. Acta Orthop Traumatol Turc. 2010;44(6):452-7. doi: 10.3944/AOTT.2010.2436. Ultrasonographic diagnosis of the posterior cruciate ligament injury in a 4-year-old child: a case report. Karabay N, Sugun TS, Toros T.
Emerg Radiol. 2009 Sep;16(5):415-7. doi: 10.1007/s10140-008-0755-9. [The results of treatment for isolated zone 3 extensor tendon injuries]. Evaluation of peripheral nerves of the upper limb with ultrasonography: a comparison of ultrasonographic examination and the intra-operative findings. J Bone Joint Surg Br. 2009 Jun;91(6):762-5. doi: 10.1302/0301-620X.91B6.22284. [Long-term results of major upper extremity replantations]. Stiffness after total knee arthroplasty: prevalence, management and outcomes. Yercan HS, Sugun TS, Bussiere C, Ait Si Selmi T, Davies A, Neyret P.
Tibiofemoral instability in primary total knee replacement: A review Part 2: diagnosis, patient evaluation, and treatment. Yercan HS, Ait Si Selmi T, Sugun TS, Neyret P.
Tibiofemoral instability in primary total knee replacement: a review, Part 1: Basic principles and classification.